NJ Forest Service monitors and maintains 775,000 acres of state-owned open space – that’s an area as large as the entire state of Rhode Island. These forests work hard – they produce clean water and air, absorb runoff, provide recreation, and are home to thousands of species of wildlife. 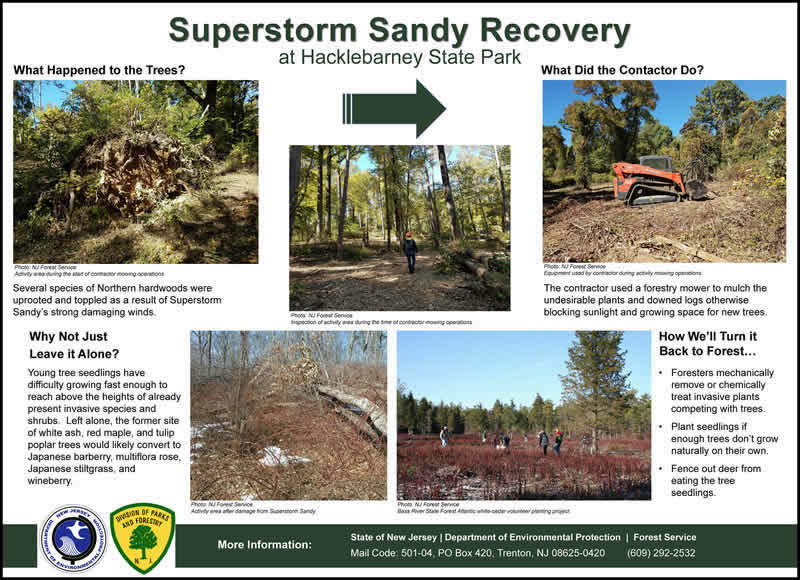 To keep our forests productive, State Forestry Services monitors biodiversity, creates wildlife habitats, suppresses pest outbreaks, and restores ecologically significant areas. Management of our forests incorporates the best forest stewardship principles derived from a forest management plan developed with public input. - Removal and treatment will occur along towpath. 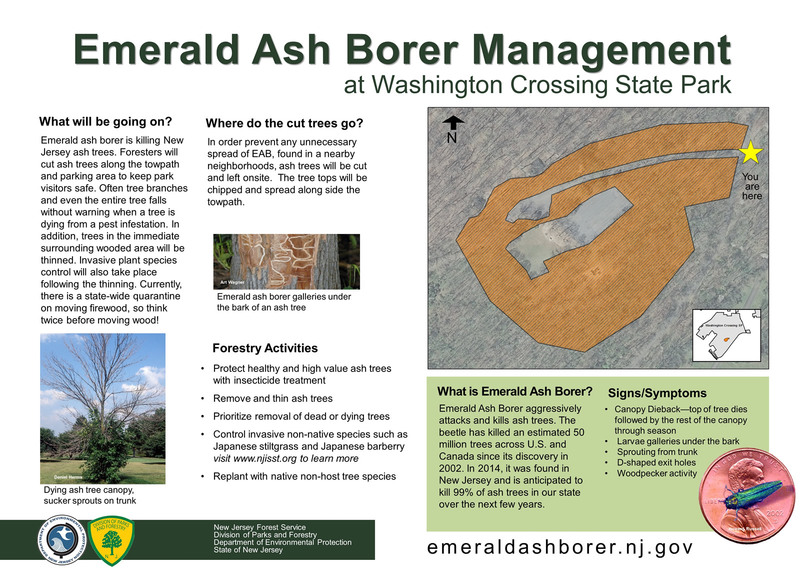 Be advised - Ash removal project currently shut down for timing restrictions. 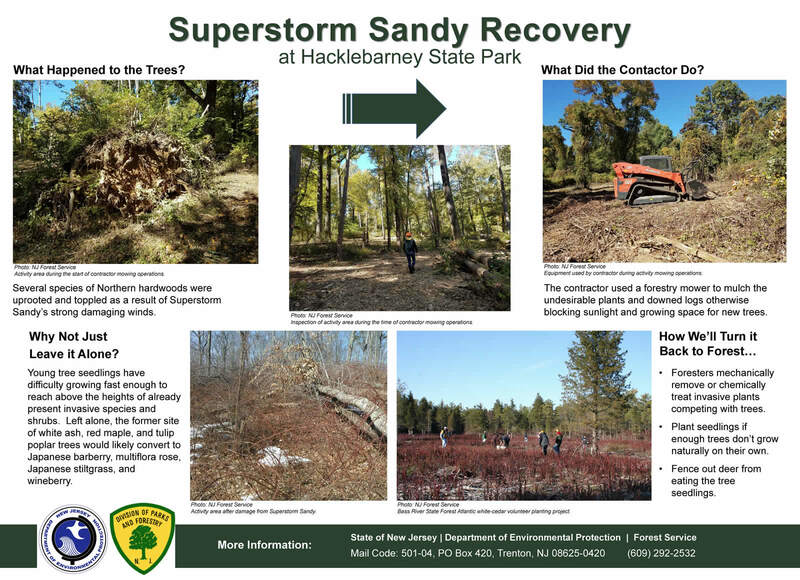 - Mowing of uprooted, toppled, and severely damaged trees from Superstorm Sandy. - Control of invasive species like Japanese barberry, and wineberry. - Planting of seedlings will occur if natural regeneration is unsuccessful. - Fence out deer from eating seedlings. - Generate a new population of mixed-oaks. - Encourage a more resilient forest by promoting regeneration of oak. - Project to being upcoming winter months. - Tools to ensure a successful project will include deer fencing, prescribed burning, and invasive control as needed. - Promote regeneration of shortleaf pine and mixed oak species. -	Combine multiple management practices to achieve ideal RHWP habitat. 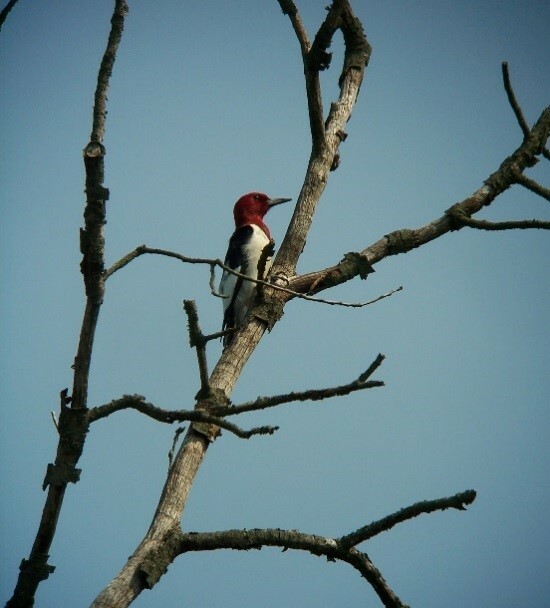 -	Increase recreational (birdwatching) value of the 12-acre site. - Provide nesting, foraging and protection from ground predators. - Generate a new population of mixed oaks and pines through a shelterwood harvest. of oak and shortleaf pine species. - Salvage the Atlantic-white cedar trees which were damaged and/or blown down during Superstorm Sandy. 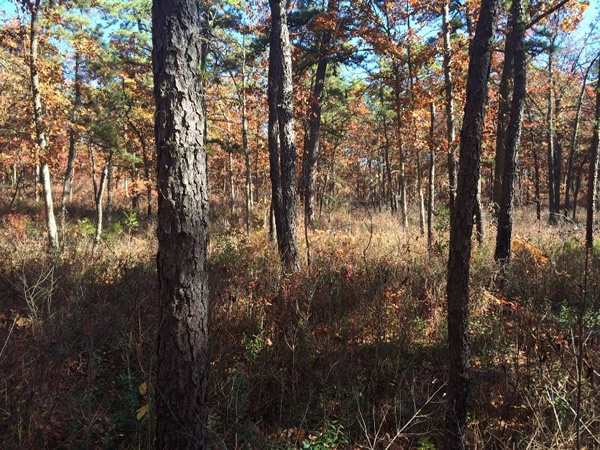 -	Simultaneously promote new AWC growth through a combination of management practices, including treatment with herbicide to help reduce competition from hardwoods, deer exclusion fencing, and replanting. 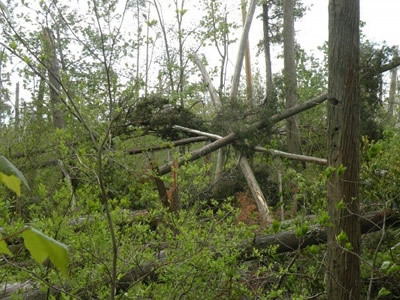 -	Remove trees that pose a hazard of falling. 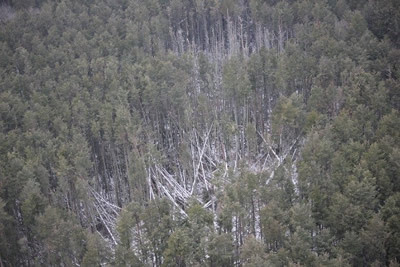 -	Introduce disturbance (fire) to decrease fuel buildup (leaves and debris on forest floor). -	Open up the canopy with a shelterwood harvest, which will allow light to reach the forest floor. 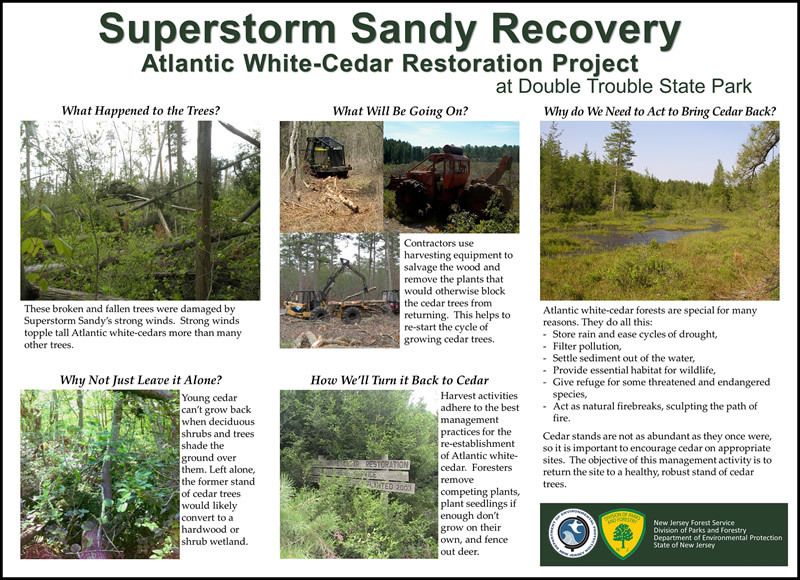 -	Leave patches of forest undisturbed to create a mixed and diverse favorable habitat for rare species. 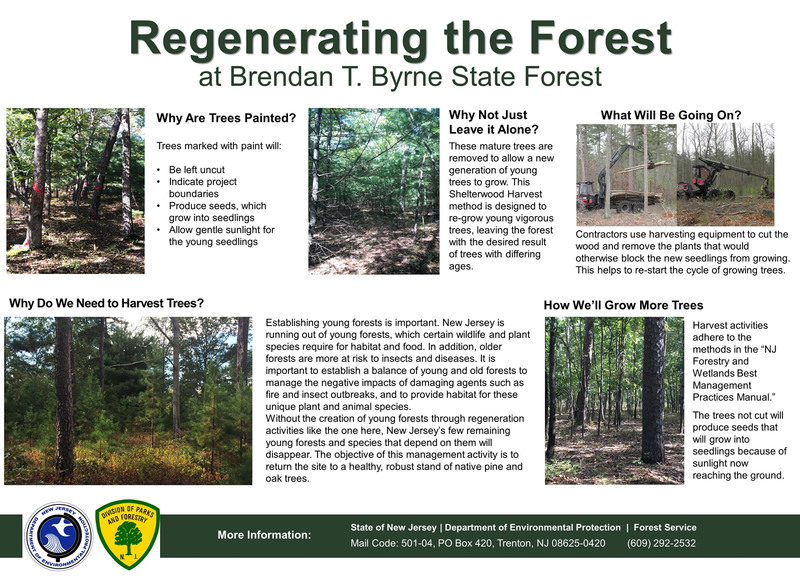 -	Improve health of trees remaining on site. - Combat the spread of EAB and reduce the hazard of falling trees within the Green Grove Day Use area. 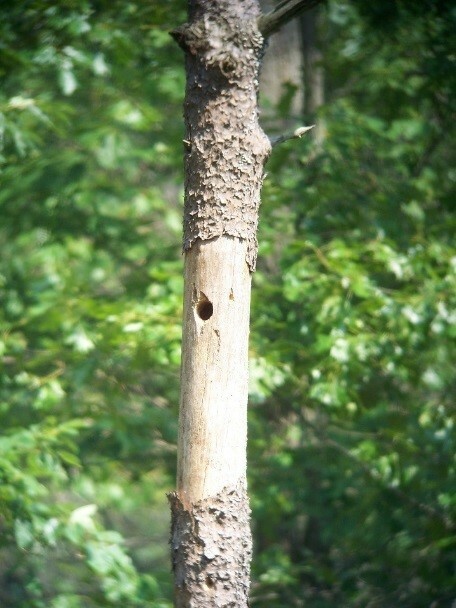 - Salvage and utilize the removed ash. - Treat for invasive species. 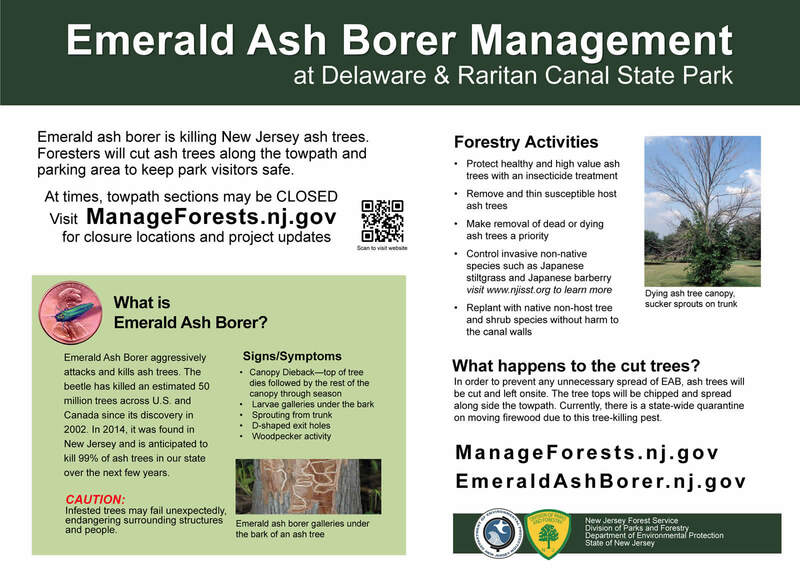 - Remove ash trees as part of a larger preventative effort to combat the spread of EAB. 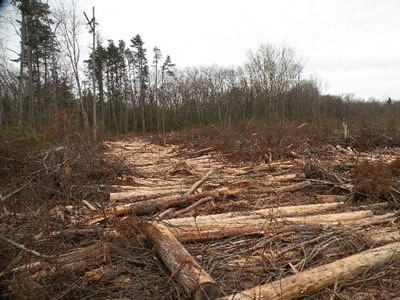 -	Only remove trees located in and around high use areas posing the greatest risk. -	Enhance forest health and resilience. 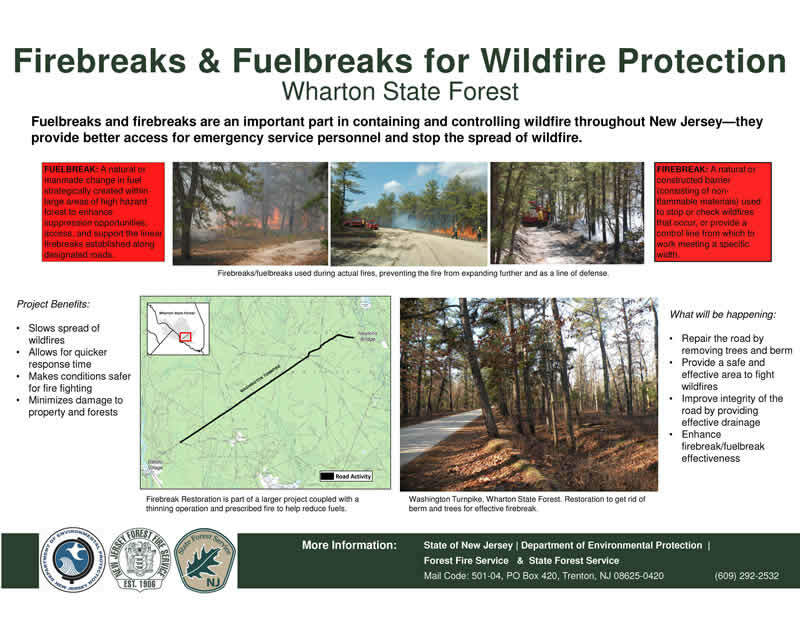 - Purpose: Wildfire Strategic Risk Reduction through road maintenance of Washington Turnpike (25 acres total – 5 miles of road) and three silvilcutural thinnings (745 acres total). - Road Maintenance included harvesting of trees along the shoulders (20 feet either side) and removal of stumps closest to the road edge for re-grading and re-establishment of roadside ditch to correctly drain the road as well as culvert replacement to restore road function and to overall restore fire break functionality. 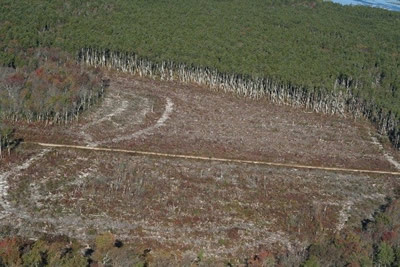 - Silvicultural thinning included cutting of smaller trees lower in the canopy to reduce forest density, increase forest health, provide a strategic fuelbreak by breaking up the fuel ladder, and reduce risk of southern pine beetle attack. - Completed: Tree harvesting along road, most removal of stumps, some re-grading of road, work remains active. Thinning of western section 125-200 acres total, work remains active.